Vincent Maola ’56 of Swarthmore, Pa., recently reconnected with former professor of music Willis Olson at the retirement facility in Wooster, Ohio, where Olson resides. Olson celebrated his 96th birthday in September. Maola says: “Mr. Olson loves to walk the halls speaking Swedish because no one can understand him! He loves reading and listening to classical music. He sounds great on the phone and is thrilled to hear from his former students.” Anyone who wishes to connect with Olson may do so via Maola at vincemaola@verizon.net. 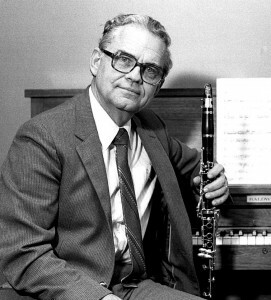 Maola was Olson’s first clarinet student and reports that he continues to perform with four groups outside Philadelphia. Mildred Newcomb ’41 celebrated her 104th birthday in July and was featured on WBNS-TV (Channel 10) in Columbus. 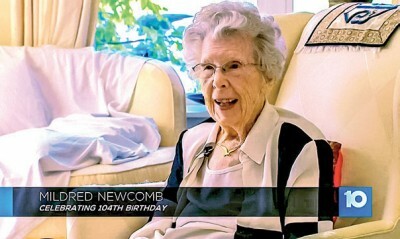 When asked the secret to reaching 104, she replied: “Get to be 103.” Newcomb was in her 50s when she pursued her doctorate and retired as head of the English Department at OWU. Marilyn Sturdivant Nelson ’47 owns a farm that has been in the Nelson family for more than 100 years, an important distinction in the Midwest. At the invitation of the Illinois Department of Agriculture, Nelson and her daughter, Lorine Etheridge, attended a breakfast at the Illinois State Fair honoring centennial farm families. Gov. Bruce Rauner was among the speakers at the event. 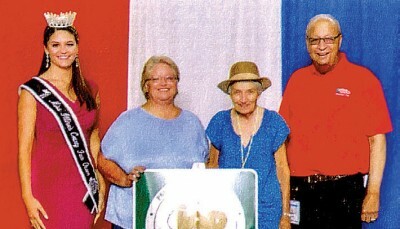 Nelson (wearing hat) and Etheridge are pictured with the state fair queen and the state director of agriculture. 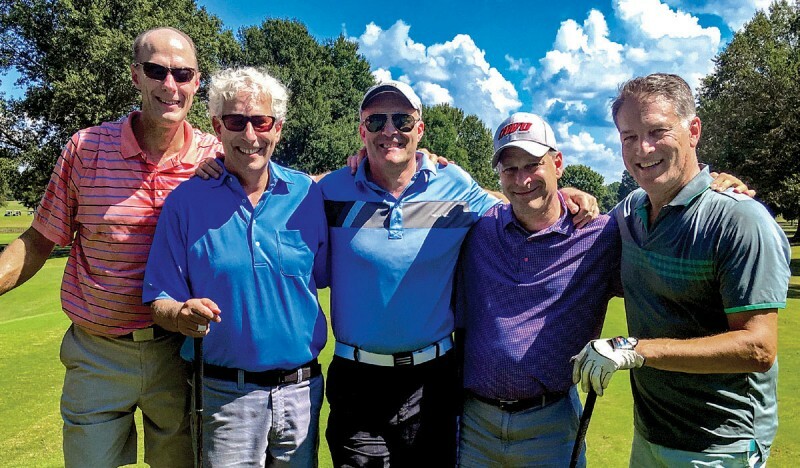 OWU alumni and Delta Tau Delta fraternity brothers gathered in Nashville, Tenn., on Sept. 19 to play golf to raise funds for pediatric cancer research at Vanderbilt Hospital. From left: Guy Herrmann ’82, Daniel Bishop ’82, Peter Burrell ’81, Scott Glazer ’84, and Howard Greenstone ’83. 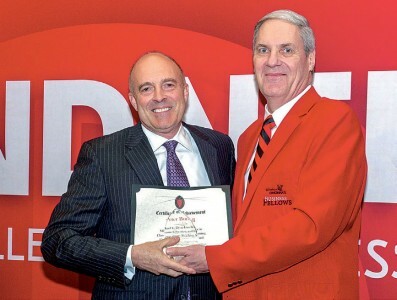 Peter Burrell ’81, left, was selected as the 2018 Michael Dean Undergraduate Professor of the Year at the University of Cincinnati’s Carl H. Lindner College of Business. Burrell has taught law courses there part time since 1993 and full time since 2013. He also continues to practice law in Cincinnati at Pinales, Stachler, Young, Burrell & Crouse, where he has been named an Ohio Super Lawyer for the past 11 years. 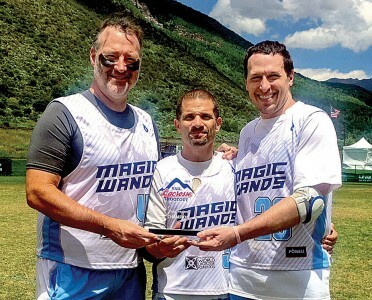 OWU grads from three different decades came together to win their second straight Vail Supermasters lacrosse championship. From left: Jim Schwartz ’89, Jim Loffredo ’95, and Tony Losito ’00 spent a week together in Vail, Colo., playing lacrosse with friends and family. 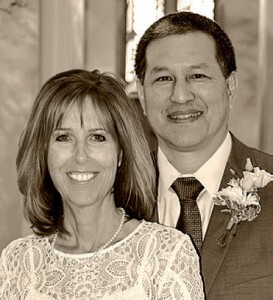 Kathleen Morey Wong ’80 and Allen Wong were married on March 17 in Dublin, Ohio. Jan Wilkin Bambach ’79, Dennis Bambach ’76, and Jeanne Bauer ’80 (not pictured) were among the wedding attendees. 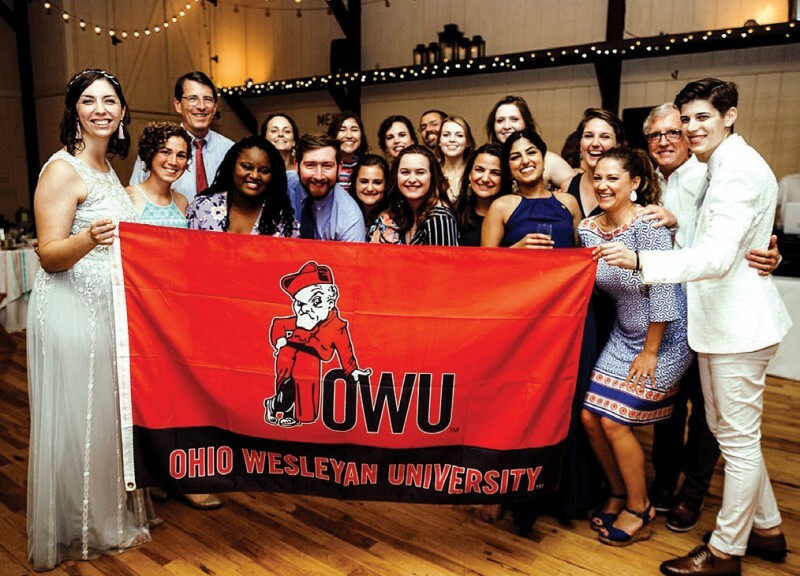 Anna Jones ’15 and Jackie Amanna ’14 were married on Aug. 3 near Asheville, N.C. OWU friends joining in the celebration were (from left): bride Amanna, Ashley Taylor ’14, OWU President Rock Jones, Brianna Robinson ’15, Jenna Reeger ’14, Zach Paul ’15, Kelly Rand ’15, Becca Fisher ’15, Kerrigan Boyd ’15, Grace Thompson ’16, William Hayes, Sara Jane Sheehan ’15, Naomi Abrams Hawkes ’14, Brenda Gable ’15, Megan Pinto ’14, Kelsey Ullom ’14, Haley Figlestahler Barber ’13, Craig Ullom, and bride Jones. 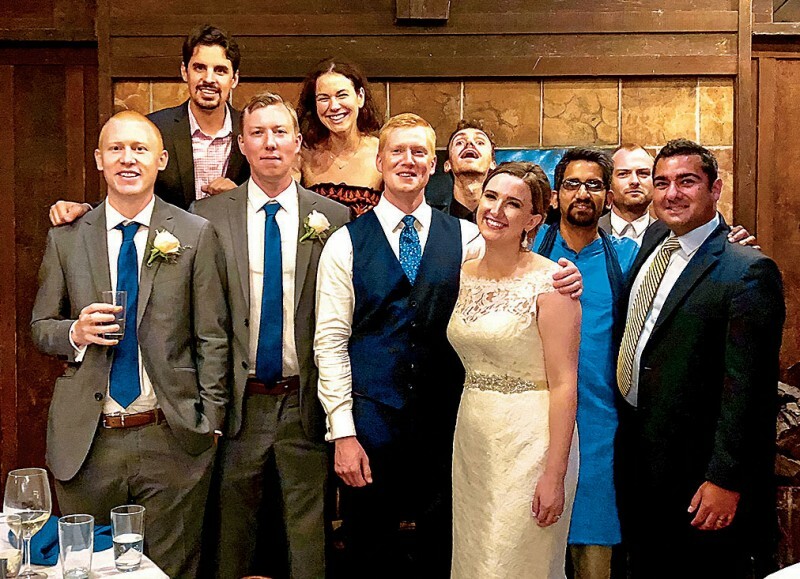 Rory McHale ’09 and Ciara Mittan were married on June 23 in Berkeley, Calif. Pictured from left (back row): Ryan Sarni ’03, Stacy Snow ’11, John Moriarty ’10, Tavish Miller ’09; (front row:) Ross McHale ’10, Conor McHale ’06, the groom and bride, Vinod Saranathan ’04, and Farrukh Mushtaq ’07. Not pictured: Amanda Fisher ’09. 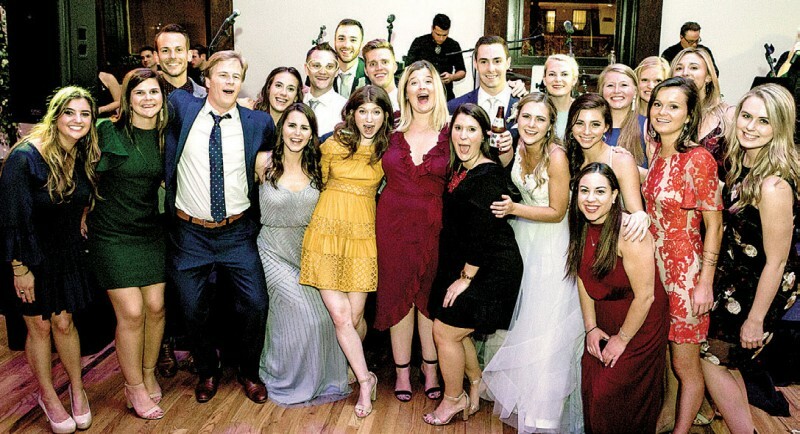 Nathan LaFrombois ’16 and Nicole Barhorst ’16 were married on Aug. 4 in Milwaukee, with 20 OWU alumni in attendance. 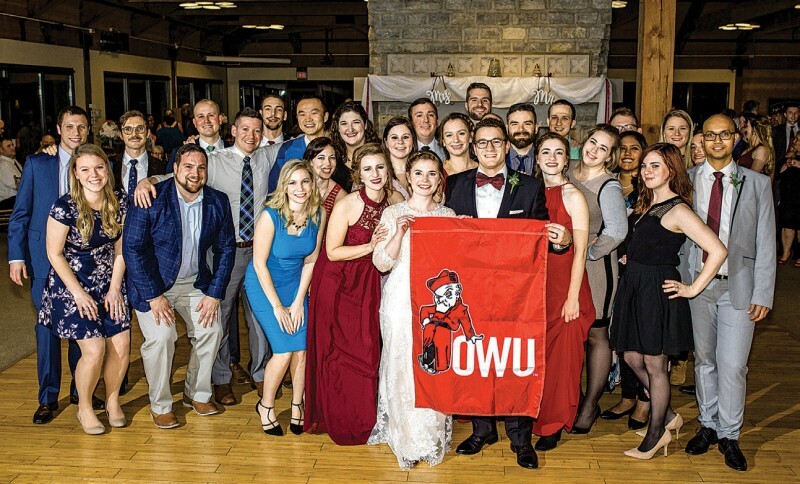 The wedding was officiated by OWU associate chaplain Chad Johns ’02. 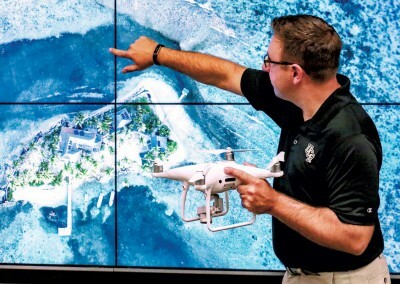 Timothy Hawthorne ’03, assistant professor of geographic information systems (GIS) in the Department of Sociology at the University of Central Florida, received a $1.25 million grant from the National Science Foundation to use drones to look at eelgrass health along North America’s Pacific coast. He is collaborating with interdisciplinary partners at the Smithsonian Institution, Cornell University, and the University of California-Davis to research eelgrass, a coastal vegetation that is vital to overall coastal ecosystem health. At the University of Central Florida, Hawthorne leads Citizen Science GIS, a research organization that creates visualizations of social and environmental inequalities through global partnerships. Citizen Science GIS will work with the Smithsonian Marine Global Earth Observatory (MarineGEO) researchers from the Tennenebaum Marine Observatories Network to use drones to provide high-resolution mapping and imagery of eelgrass communities along the Pacific coast. The team will train community partners to operate the drones when the team cannot be on site, bringing an innovative element of citizen science to the project. Through their efforts, the team hopes to understand what environmental factors play a role in the spread of wasting disease in eelgrass communities from an ecological and geospatial perspective. Hawthorne says he is excited to combine his social science expertise with that of world-renowned scientists to pursue solutions that no one discipline could solve alone. Rose Moller-Jacobs ’13 and Anthony Harper Grawe ’12 were married on Feb. 17 in Hilliard, Ohio. From left (back row): Shane Brandt ’13, Charles “Zeke” Brechtel ’13, Grant Kilduff ’12, Adrian Morrison ’12, Guanyi Yang ’13, Allyson Hays ’13, Matthew Kaste ’12, Jonathan Rux ’12, Frank Kushnar-Sanderson ’13, Larry Osborne ’11, Maren Oehl Schludecker ’12, Brock Schludecker ’12; (middle row:) Clare Duffy Brandt ’13, Mark Ripper ’14, Nathan Eckersley ’12, Elyse Ward ’13, Amber Kimberling ’14, Katherine Juliani ’13, Christopher Heckman ’12, Logan Osborne ’13, Paige Phillips Osborne ’13, Priyanka Venkat ’14, Iftekhar Ahmed Showpnil ’13; (front row:) Devin Heath ’13, Danielle Muzina ’13, the bride and groom, Sonja Petermann ’14, and Hannah Appelbaum ’14. 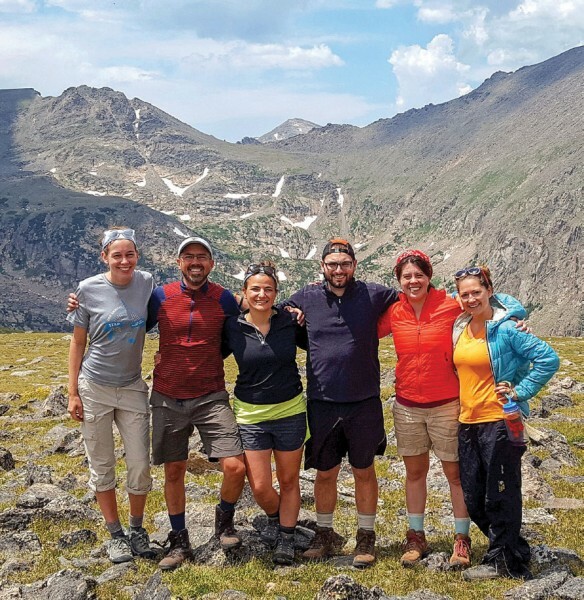 Five alumni who participated in OWU’s Wilderness Ministry program and went on wilderness treks together as students gathered in Colorado, along with three of their spouses, for a five-day backpacking and camping trip in Rocky Mountain National Park. Pictured on Gabletop Mountain are (from left): Cora Munroe ’14, William Hayes (group leader and director of Wilderness Ministry at OWU), Naomi Abrams Hawkes ’14, Thomas DeHaas ’15, Alyson Michael ’14, and Haley Figlestahler Barber ’13. Alexandra Friedman ’09 married Reid Martin on Sept. 23, 2017, in Oklahoma City. 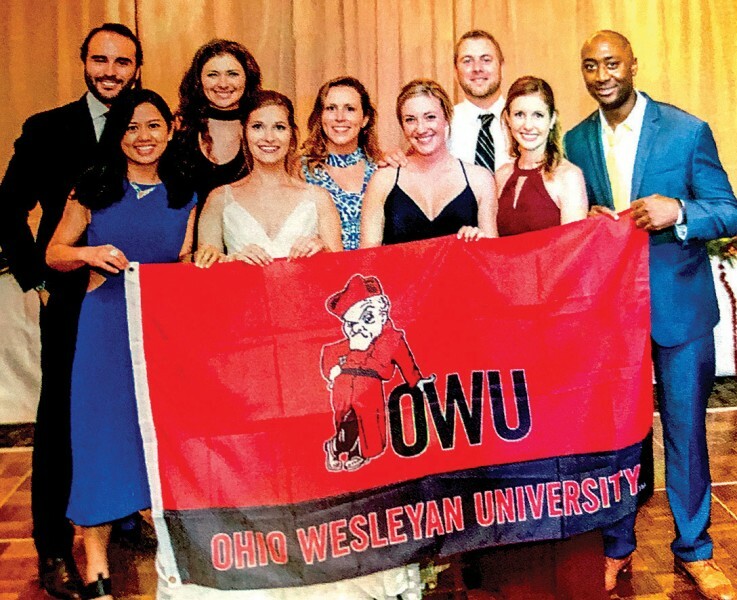 OWU classmates joining in the celebration were (from left): Martim Thomaz ’10, Raksha Adhikari ’10, Maggie Coleman Maxi ’09, the bride, Emilie Hanson ’12, Olivia Talbott Colopy ’09, Ryan Colopy ’07, Erin Hanahan Gatz ’10, and Kofi Quaye ’10. 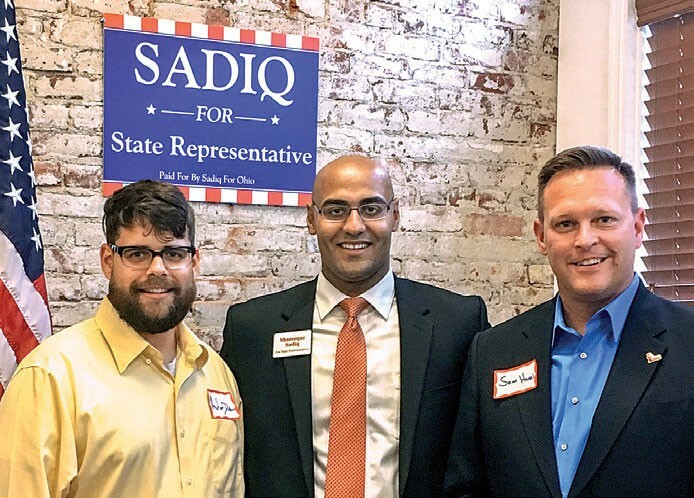 Adam Dettra ’13 (left) and Sean Harris ’97 (right) attended a fundraiser for Shareeque Sadiq ’17 (middle), who was a candidate for the Ohio House of Representatives in the 26th district, but lost in November. 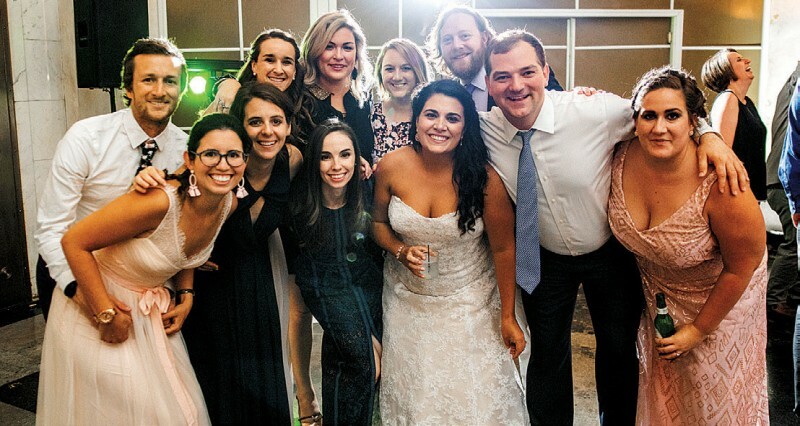 Meredith Wholley ’13 married Taylor Roth on Oct. 28, 2017, in Nashville, Tenn. Pictured from left (front row): Gabrielle Dinkin ’14, Annie Swanson ’13, Scott Rosenthal ’13, Molly Curry ’13, Emily Lunstroth ’13, Mary Shinnick ’13, Steph Martineau ’14, the bride, Cate Bailey ’14, Devin Steinberg ’13, Meg Doherty ’16, Kayla Henderson ’13, (back row): Mark Schmitter ’12, Liza Bennett ’13, three groomsmen, the groom, Eileen Foley ’15, Meagan Ferns ’13, Kelsey Countryman Tennesen ’12, and Calina Hilyard ’13. 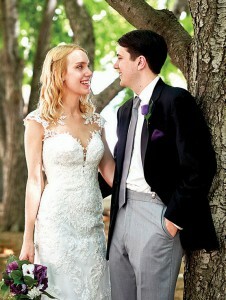 Megan Hoffman ’12 married Eric Meyer on Aug. 25 in Columbus after five years of dating. The couple was surrounded by friends, both from Ohio Wesleyan and the John Glenn College of Public Affairs at Ohio State University, where they met in grad school. Back row (from left): Kyle Lemke ’12, Tori Schlaudt ’13, Chelsea Dipman ’13, Amy Siemon ’13, Tyler Mather ’12; (front row:) Taurey Overturf Lemke ’12, Kate Raulin ’12, Katie Hurley ’12, the bride, Tim Carney ’12, and Ann Merrell ’12. Classmates and families of four deceased classmates came together to commemorate the 30th anniversary of their passing. Jeff Eddy ’90, Bill Kroener ’90, and Jay Riesz ’90 lost their lives in a car accident after attending a Russian studies conference at Oberlin College in 1988. That same year, Tom Schultz ’90 lost his life in the bombing of Pan Am Flight 103 over Scotland. All four students were politics & government majors. Those who gathered came from seven states. 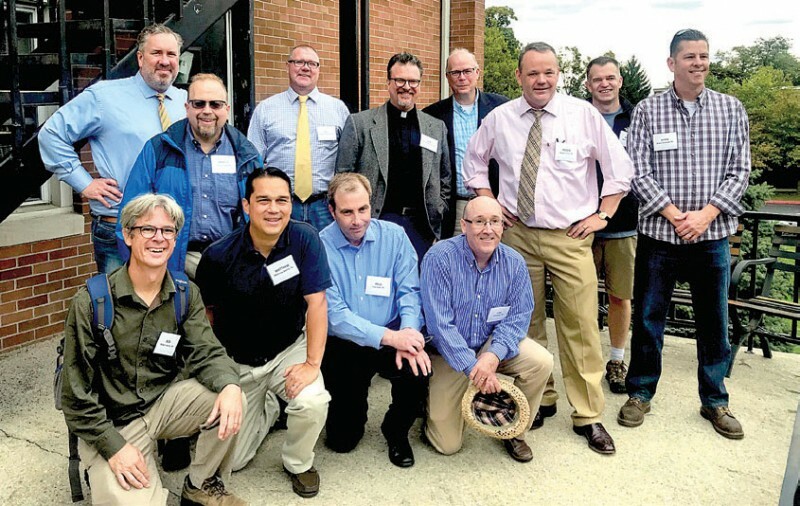 Pictured from left (front row): Bob Hering ’90, Matthew Morris ’92, Paul Klatt ’93, Kirk Keller ’91; (back row:) Peter Beale, E. Marcus Case ’89, Bill Brosius ’90, Bob Abrams ’90, Jim Stilwell ’91, Roger Ward ’90, Mike Colson ’91, and Brien Donovan ’90. Not pictured: David Poss ’89, Kevin McDonnell ’92. Four roommates reunited at OWU in June for the first time in more than 40 years to dedicate a bench in honor of their late classmate, Ann “Annley” Campana Judge ’73, who was on American Airlines Flight 77 that was crashed into the Pentagon on Sept. 11, 2001. After purchasing the bench in Judge’s honor, the four classmates spent a special day together on campus in celebration of her life, visiting the Delta Delta Delta sorority house (of which Judge was president during her time at OWU), enjoying Bun’s restaurant for lunch, and sharing OWU memories. 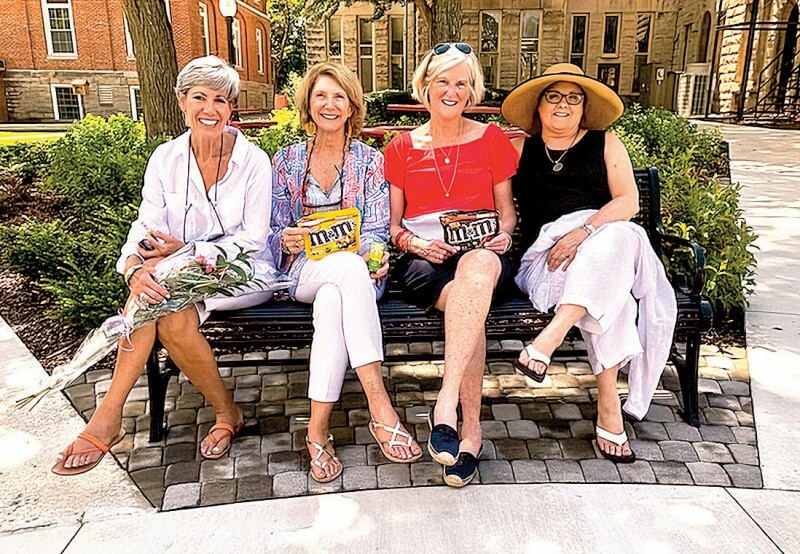 Pictured from left: Nancy Bender Kortright ’74, Susan Henze Twomey ’73, Mary Ellen Gray Hart ’73, and Susie Green Beckler ’73.